What are some necessary questions to ask before living independently? Is this your first time living alone? Do you plan to commute from your current address to school or work? There are many great leaders in the history of the Independent Living Movement of the 1960s, but one of the biggest milestones was the development of a program – founded by UC Berkley student Ed Roberts – designed for students with disabilities, run by students with disabilities. This groundbreaking program led to the establishment of the first independent living center in the U.S., after which, independent centers were codified into law to offer various support that enables individuals with disabilities to live independently. In line with Ratzka’s definition of independently living, and Ed Roberts’ hired personal attendants who helped him with his daily activities, independent living does not mean we must do everything without help, but rather that we have the opportunity to make choices about our own life decisions, regardless of disability. 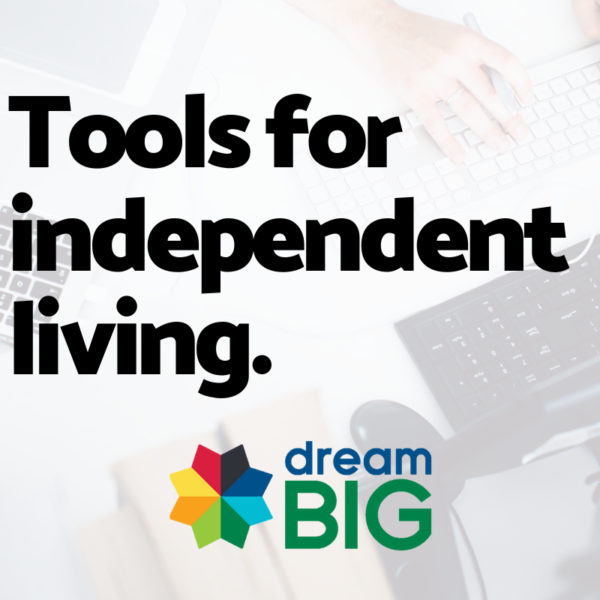 Independent living can be attained by utilizing support and receiving reasonable accommodations. What does it mean for your transition to a new environment? If you want to learn more about independent living, come participate in our one-week summer career exploration camp, DREAM BIG! If you are still unsure about what you want to do in your future, join us! DREAM BIG is a great opportunity to explore your career possibilities! You can learn more about independent living in our workshops and get opinions directly from employees in leading companies and great organizations like Boeing, LaunchCode, Centene, and more.